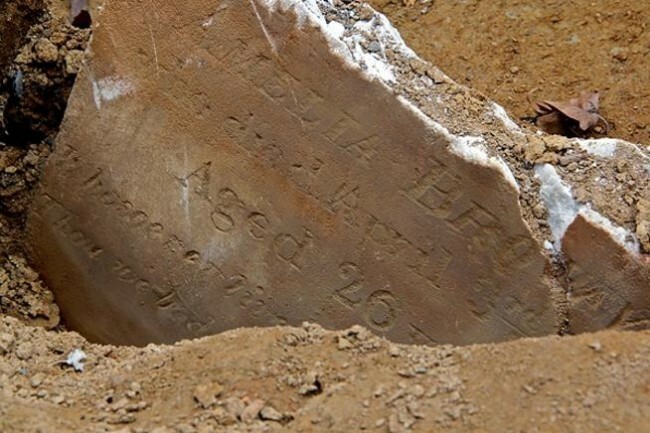 Fifty-six-year-old Lavinia Thomas died this date, January 2nd, in 1854 and was buried at Bethel Burying Ground. In 1847 the Thomas/Singer family lived on the 700 block of Cedar Street (now South Street) on the border of the city with the southern districts. All four members of the family lived in a 10’X10′ room for which they paid $3 a month. It was a busy business corridor and not an unusual address for someone in Mr. Singer’s occupation. However, by the time of Ms. Thomas’ death, they lived in St. Mary’s Street, the “heart of the slums.” It would have been quite an economic fall for the family. St. Mary’s was a narrow thoroughfare lined with dilapidated hovels that were home to speakeasies, prostitution, gambling, and rooming houses where rats ruled. In addition, St. Mary’s Street was a perennial target of violent white gangs who, in 1842, burned the local Black church to the ground. Ms. Thomas was buried on a cold day in January at Bethel Burying Ground. It had been very cold for weeks where the Schuylkill River was frozen over and closed to ship traffic. It is likely Ms. Thomas was buried with the two-year-old Singer child who may have been her granddaughter. *Hydrothorax is when blood accumulates in the chest cavity. This condition is most likely to develop secondary to congestive heart failure or liver disease. *** “Philadelphia: A 300-Year History,” p. 386.